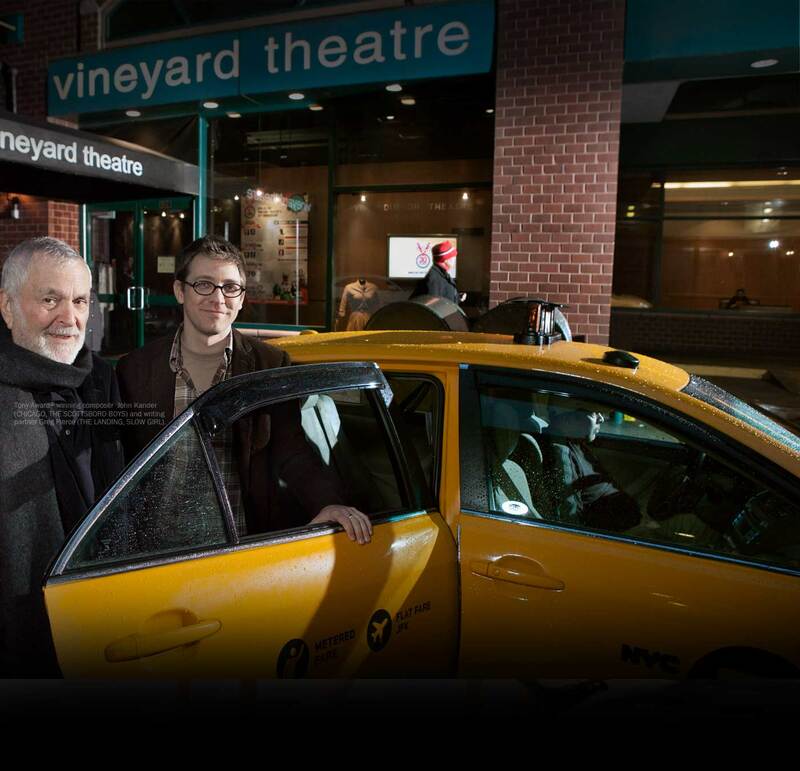 The Vineyard Theatre — currently celebrating its 30th anniversary season — will present one-night-only “reunion” readings this summer with the entire original casts of two of the most acclaimed productions in the company’s history: on Monday, June 24 at 8:00 p.m., Linda Emond, Cotter Smith, Tim Hopper and Robert Emmet Lunney will perform Craig Lucas’ play THE DYING GAUL; and on Monday, July 1 at 8:00 p.m., Mary-Louise Parker, David Morse and company will reunite for Paula Vogel’s Pulitzer Prize winning play HOW I LEARNED TO DRIVE. Both readings will be staged by the productions’ original director, Mark Brokaw. The cast of Craig Lucas’ THE DYING GAUL — Linda Emond, Tim Hopper, Cotter Smith and Robert Emmet Lunney — will reunite for the first time since the play, directed by Mark Brokaw, debuted at the Vineyard in 1998. When THE DYING GAUL opened at The Vineyard, The New York Times called it “deeply provocative,” USA Today called it “one of the best plays of the year,” and the Wall Street Journal proclaimed it “the best American Play of the year.” THE DYING GAUL was later made into a critically acclaimed film. Tickets for each event are priced at $75. VIP tickets are $250 and includes program credit, premium seating and afterparty. CLICK HERE to purchase tickets or call The Vineyard box office at 212-353-0303. Proceeds from both readings benefit The Vineyard’s productions and programs. For VIP access to the reunion readings, please call (212) 353-3366 x242 or email development@vineyardtheatre.org.